That word feels kinda dirty, right? Demeaning, insulting, said with a sneer, as if you're somehow morally bankrupt. You can probably rattle off a bunch of quotes about quitting, too. 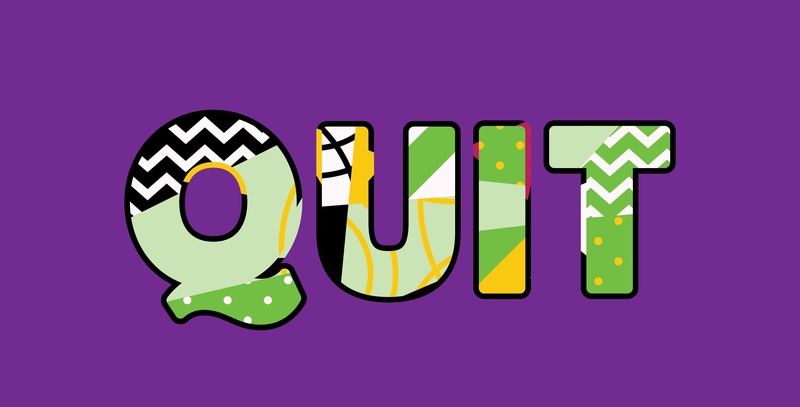 So given that, why am I so happy to report that the team here at EmberTribe is full of quitters? Why am I bragging about something so culturally repugnant? I think a large part of the stigma around quitting is that it’s confused for failure. This is really the crux of what I'm getting at. I was first inspired to re-evaluate my understanding of quitting by a Freakanomics podcast titled "The Upside of Quitting." In the episode, one of the main tenents explored is that success is built on the ability to quit doing things which you're bad at, so you focus in on the things you're better at. That seems so straightforward that you might have glossed right over it, but it's amazingly profound and countercultural for much of our team and our clients, living in the United States. So I'm going to repeat it. Quit doing what you're bad at. So you can spend more time focusing on what you're good at. Are you familiar with the sunk cost fallacy? It's a known economic principle that refers to how humans do a poor job of making future decisions based on their past efforts. This fallacy is at the core of our aversion to quitting, and it's reinforced by rags-to-riches success stories that are popular in consumptive media. If we constantly believe amazing success is just over the horizon, just around the corner, then quitting means that we have invested heavily only to get no return. Let's make this a little more real (and honest). We recently started an educational course about running Facebook Ads, and we took the radical approach to give it away, completely free. Our goal was to build a community of advertisers who would talk about the real world application of what we were teaching, build up a group of businesses learning and growing running Facebook Ads. While there was an initial groundswell of interest and feedback and participation, it quickly died down and became a one-way conversation. We weren't hitting our goals, it was eating our time, and we had a choice to make. Keep going, invest more time, try new things. And this is a post about quitting, so you already know what we did. Was it an easy choice? No. It meant admitting that we'd wasted all the time we spent without achieving our goal, which was painful. But the alternative was to keep pouring water into a leaky bucket and hope something changed. Knowing what we knew about progress to that point, that felt even more foolish. 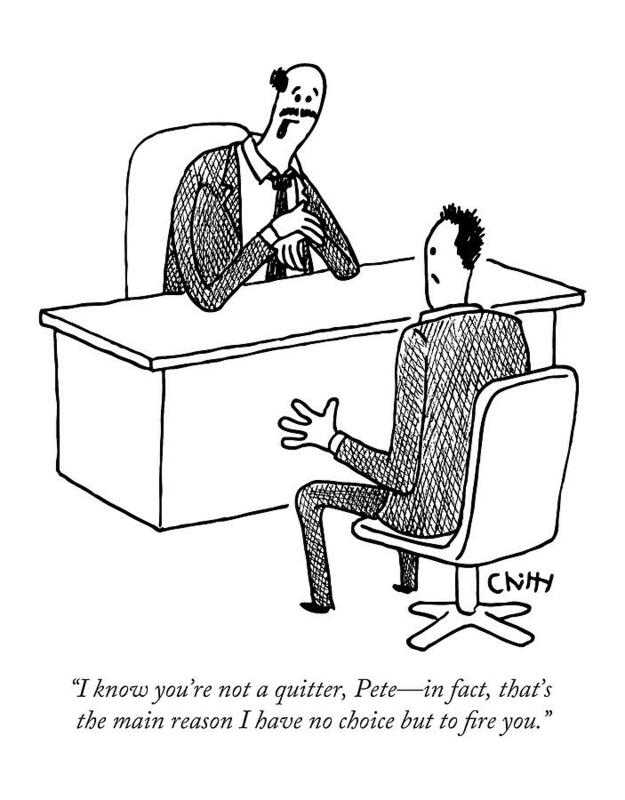 That's all great, you're thinking, but I don't think I want to hire a team of quitters to help my business grow. Growth doesn't happen without experimentation. And experimentation means trying new things. What happens if those new things don't work? Should you keep doing them, in blind determination to force them to work? That doesn't sound very smart. Imagine a partner saying, "We started this new campaign and we've spent $500 and gotten no sales, but we can't change tactics now because we've already spent $500!" You'd fire them in a heartbeat. No, you want a quitter in your corner, someone with the ability to take a cold, rational approach to the data and say, "We have six more tests queued up, this one isn't working. It's time to quit and move on." Not every idea will work. Most ideas won't work. So quit spending time on the failures, so you can spend more time (and money) on the winners. At EmberTribe, we apply this concept to new product designs, new verticals, new marketing efforts for ourselves and our clients. We quit using ad formats, quit targeting audiences, quit working on processes or systems that aren't doing what we want. We barbecue sacred cows, cancel tool subscriptions, and change the ways we interact with clients. Every month, every week, sometimes every day. 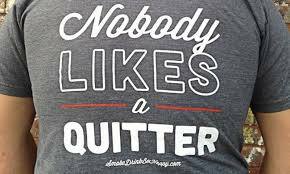 And I'm so proud to work with a team of amazing quitters.